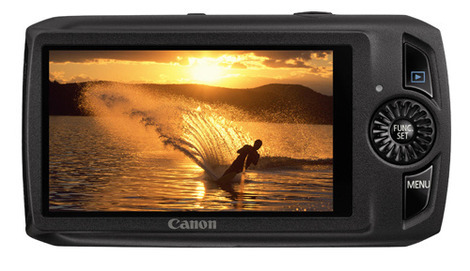 A compact but high-specced camera is the latest addition to Canon’s luxury digital camera range – IXUS. The IXUS 300 HS shoots pictures at 10 megapixels and High Definition video, and it specialises in taking shots at high speed – great for fast-moving scenes, and in low-light environments. Features include manual controls and the wide-angle lens with 3.8 optical zoom. We love the tapered ends – a trend for gadgets recently I’ve noticed – and the four colours: blasted steel silver, matt black, glossy white or high gloss red. I hate it when they re-use model numbers.